Arizona Poker – Is Online Poker Legal in Arizona? The prospect of legal online poker is an actually a possibility, albeit not for a few more years. 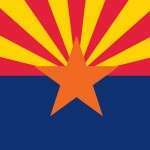 Compared to Alabama and Alaska, the chance of there being real Arizona online poker statutes could ideally be a nice change of pace for an area that LOVES its poker. With that being said, it’s important to note that poker is actually legal here. Amazing, right? There are some exceptions – some if’s and but’s – but the bottom line is Arizona residents have more options than the states whose names come before theirs in the alphabet. There are literally dozens of brick and mortar casinos offering poker as it stands right now, with many more bars and standalone poker clubs that also offer the game to its residents. Are Home Poker Games Okay in Arizona? Yes, home games are legal. All that means is you cannot charge players a cover charge, tournament free or collect rake from each cash game hand. In fact – as I understand there are often rules against collecting money for food and beverages. So you might want to be careful about that, too – along with that whole “must be 21 years or older to play” requirements for players. 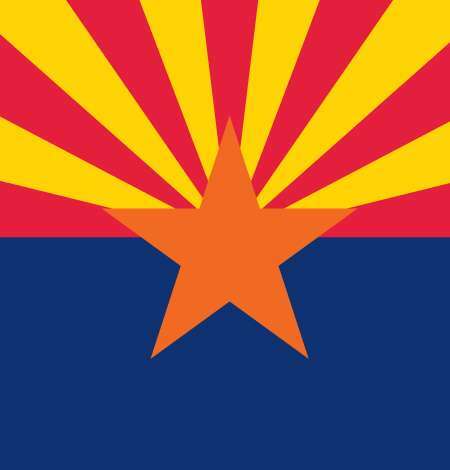 Arizona is one of the few states to address online gambling. Arizona law essentially prevents the state itself or any Indian tribe from establishing or conducting Internet gaming (Ariz. Rev. Stat. § 5-504(I) and Ariz. Rev. Stat. § 5-601.02). Whether it has the right to prohibit tribes from offering such gaming is not a settled matter. Now, that only applies to operators. But don’t think you can just hop online and play, and things will be all hunky-dory. You can (probably) play online. But you’ll be limited to offshore sites rather than the legal poker sites you would otherwise see in legal jurisdictions like Nevada or New Jersey. Now playing on these aforementioned offshore sites comes with risks. For instance, they are not licensed or regulated, so you won’t have any recourse if something were to happen – particularly if a site closes up shop and decides to take your bankroll along with it as severance. Also, ALL transactions (from your bank to their processors) are illegal, too. Arizona has had at least a handful of advocates against online poker. One, for example, is former United States Senator Jon Kyl. Oh, he’s just the guy that helped pass the now-infamous UIGEA bill in what seemed like a lifetime ago for the internet poker player (2005 to be exact). Thanks Jon! Anyways, he seems to have flip-flopped on the issue and had a slight change of heart before he left office. Kyl worked with Senator Harry Reid for awhile in 2012 to legalize online poker, but the initiative fell through quickly. Now while most people can probably move on from someone like Kyl, there was also another unpopular state Senator who would also be a fierce opponent of online gambling – and NOT just in his home state of Arizona. Senator John McCain once lobbied Congress to pass the Internet Gambling Amendment in 1998. This would have criminalize all of online gambling. This ultimately failed, but he’s been against online poker since. Site note – Not long ago Senator McCain was caught playing poker on his phone while on the senate floor. It’s kind of funny, but at the same time irritating to think of the double standard. And yet another example is Attorney General Tome Horne. He signed a letter that’s in favor of prohibiting online poker in the United States. This would also include state authorized intrastate poker. I think there’s a fat chance of that happening given how much momentum we have with legalizing online poker on a state-by-state level. The point is that there’s a small chance – at least for now – that online poker will be legalized in Arizona. Similar states in this all too familiar predicament include California, Pennsylvania and Illinois. There seems to be too many people against it. But maybe that will change in the future? Does Arizona Casinos Offer Live Poker? They do. Arizona is actually a hot bed for poker talent in the western United States. It is possible to play live poker in Arizona. In fact, there are more than 20 casinos in the state. One of the largest casinos is Casino Arizona at Talking Stick. According to their website they have 45+ card tables and offer games such as 5-Card Stud, Texas Holdem and Omaha. However, one thing to note is the rules for how much you can bet. The state maximum is $150, so you won’t find true ‘no limit’ games. Instead, the games will be spread or fixed limit. That way the casinos can keep all bets to under the minimum. How Does The Future Look For Arizona Poker Players? On one hand I say not to hold your breath. As I said above, it doesn’t look like the key players (senators) in the state want it legalized – at least not in the near future just yet. But, you can never say never, especially with neighboring states like Nevada passing their own state-mandated online poker laws. These sites aren’t exactly printing money as of right now, but the success of WSOP.com has shown there is definitely a need for online poker and people are willing to play and deposit their hard-earned cash. California is expected to be next on the docket, which would only increase the chances of similar online poker bills to at least get introduced to the bargaining table in Arizona. Between the two (especially California), Arizona will see firsthand the types of revenue they can bring in if they were to legalize online poker instead of their players giving all that money away to offshore sites. And, of course, that money would only get bigger if the agreed to an intrastate pact with California and Nevada – two of the largest players in intrastate poker, no doubt. Other poker portals suggest we’ll see Arizona make moves in 2017-2018. I think everything considered I’d agree with that.